It seems IK are overcome with good cheer this festive season. I wrote a while back about some of the deals on offer from them and, while they’re still available, IK have even more bargains the these penny-pinching times. There are quite a few offers, so I’m not going in to great detail on each. IK’s site will have all the info your recession-hit pocket requires. I’ll include links to each of the various offers as we go. Bear in mind when purchasing that prices are listed exclusive of VAT or taxes. SampleMoog, SampleTron or SonikSynth 2 for only EUR74.99 (USD99.99). That’s a saving of €95 – not to be sneezed at. Use code WESPECIAL when purchasing. This offer expires on 30th November so get your skates on. More here. The 4 For 1 offer on AmpliTube is still on. We’ve talked about this before. If you’re interested in investing in Amplitube stuff you’d be mad not to check it out. We also discussed the Total Bundle Deals a while back. 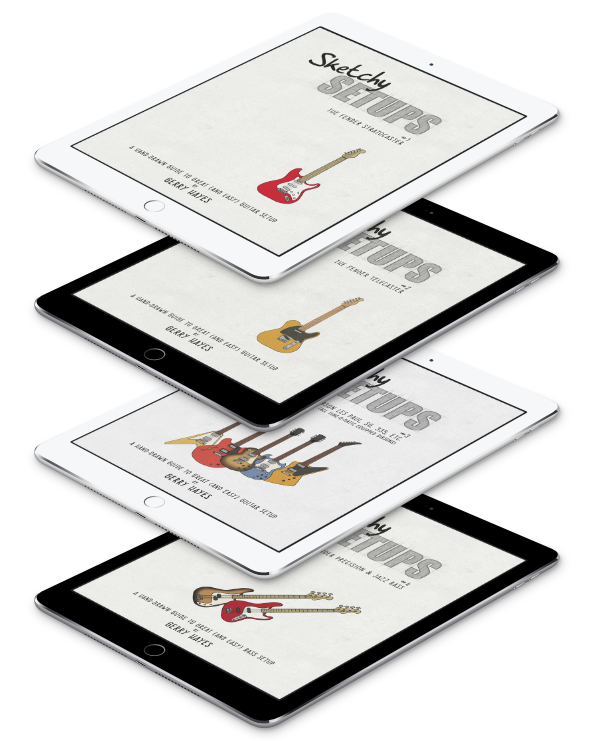 Full versions of IK’s Total Bundles of instruments, effects and guitar stuff for half-price. Use TOTALDEAL promo code here. 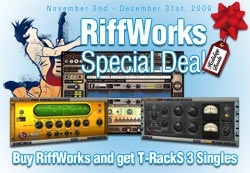 Riffworks (see image) is avalable for €74.99 (USD99.99) and you get a free T-RackS 3 Single of your choice (nice). Code is RIFWORKSHOLIDAY and you an use it here. At the higher end of the IK price-range you can get savings on StompIO. This can be yours, with a free gig-bag from €459.99 for the hardware only upgrade. Alternatively, you can get the full version and 5 software titles for €619.99. Get them here. Lastly, get an ARC System, T-RackS 3 Deluxe and Clasick Studio Reverb for €539.99 (USD699.99). These, combined, would normally cost over a grand. These, here.